“…the process of lead qualification has been codified into the 8-4-2-1 Rule…for every eight leads that pass preliminary qualification, four will lead to sales presentations, which will produce two quotes and finally one sale. Think about that. The focus is on how to do sales cheaply, efficiently, and at least cost. This may seem an obvious and good goal until you consider what it leaves out: the impact on the 7 out of 8 who are screened out. The reason we do in sales what we wouldn’t in social situations is that we assume closed social settings, but infinite lead streams. It’s just a lead, we rationalize. We’re a tiny firm, and the market is huge. There are always more leads. But there are not. Leads are finite. Worse yet, many prospects know each other. Word of mouth doesn’t just work among customers and ex-customers, but among leads and ex-leads, too. Your reputation is greatly affected by the way you sell, and part of that is how you treat people you screen out. The old customer service rule of thumb was that a person would tell four or five others about a good experience, but he would tell several dozen about a bad experience. In an age of YouTube and Twitter, negative stories don’t stop at a dozen—they explode to tens of thousands, and in just a matter of days. The lead screening process and underlying mindset can make us treat prospects as if we were examining them under a microscope for incipient dollar signs in our wallets. It drives self-focus and makes objects of our prospects. It dehumanizes both of us, and it pollutes our prospect base at a frightening rate. Lead screening processes done poorly equal self-destructive marketing. Are you willing to treat this prospect as a potential client? When shall you review this decision again? As long as the answer to question one is yes, just one goal should drive your behavior. That is to determine whether and how you can help a prospect, by talking with them. If you figure out how to help them, and they agree, a sale is the natural result. If you figure out how to help them and they don’t agree, you have failed to communicate; that’s your fault. If you decide you cannot help them, and they agree, you should thank them for the chance to explore together, and leave on good terms. If you decide you cannot help them, and they don’t yet agree, you owe them the decency of an explanation that is satisfying to them. Screening should not be a solo and self-oriented decision about timing based on what’s in it for you. It should be a consensus-based joint decision about whether to continue the dialogue, based on what’s in it for both of parties. Done that way, a screen-out is nearly as positive as a sale because it implies a joint decision. Screened-out prospects become good marketing. After all, such joint decision-making is how we develop responsible and mature relationships with others. 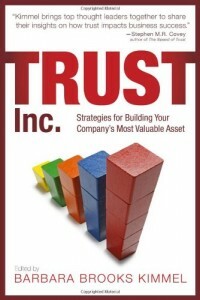 https://trustedadvisor.com/public/iStock_000022440792_Small.jpg 647 742 Charles H. Green http://trustedadvisor.com/public/trusted_advisor1.png Charles H. Green2015-10-05 10:28:142015-11-25 08:37:23Is Your Lead Generation System Causing You to Lose Clients?